Ashton Asoke Rama 9 is a ground breaking iconic residence in the very centre of Bangkok's new CBD of Rama IX / Rathcadapisek, nearby Asoke. 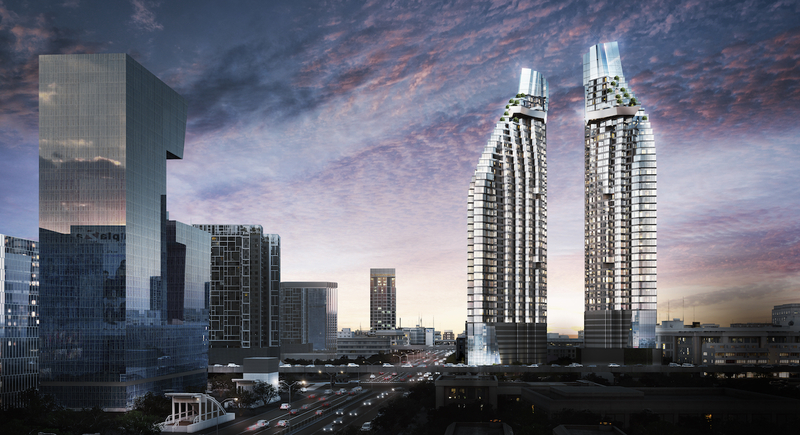 This spectacular twin tower high-rise development is built by Bangkok's leading developer. 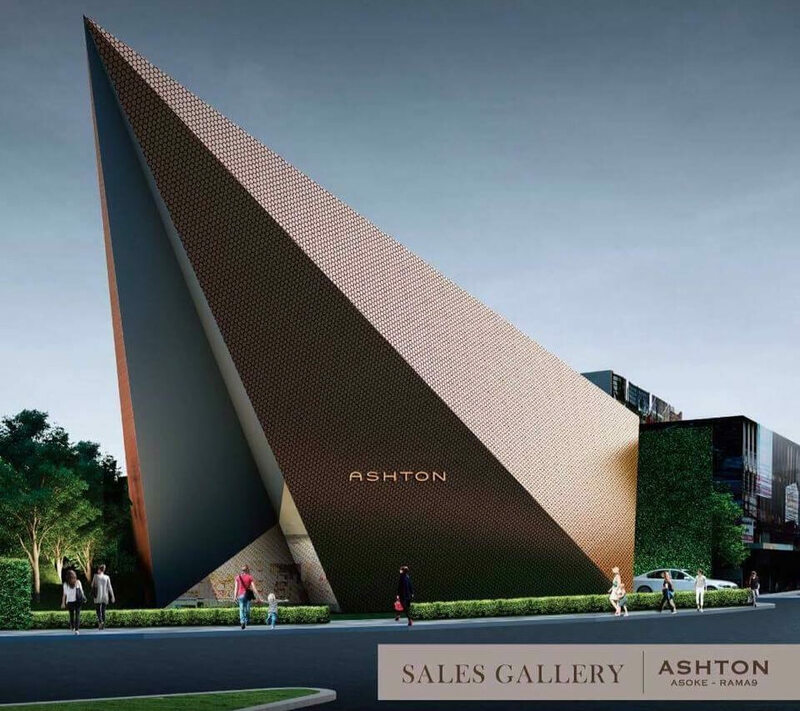 Ashton is the name reserved for this developer's range of Grade A luxury residences featuring the most premium locations and superior standard of finishing. 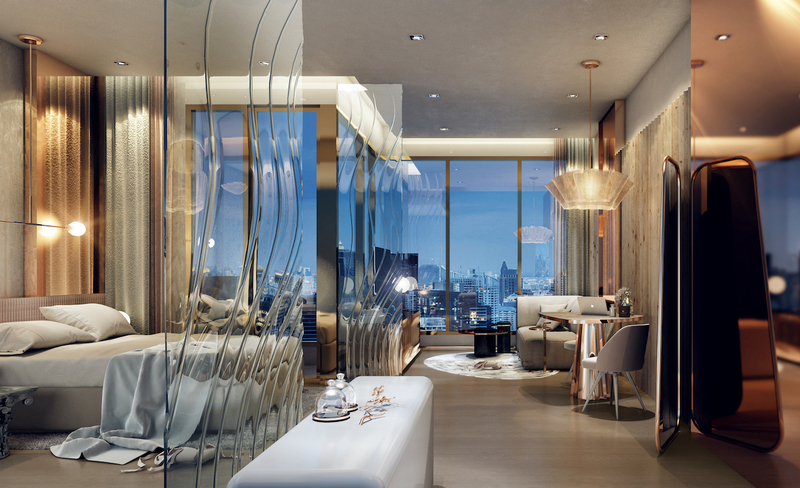 Every condo on offer here is a corner unit with corner window glass offering panoramic views of downtown Bangkok. 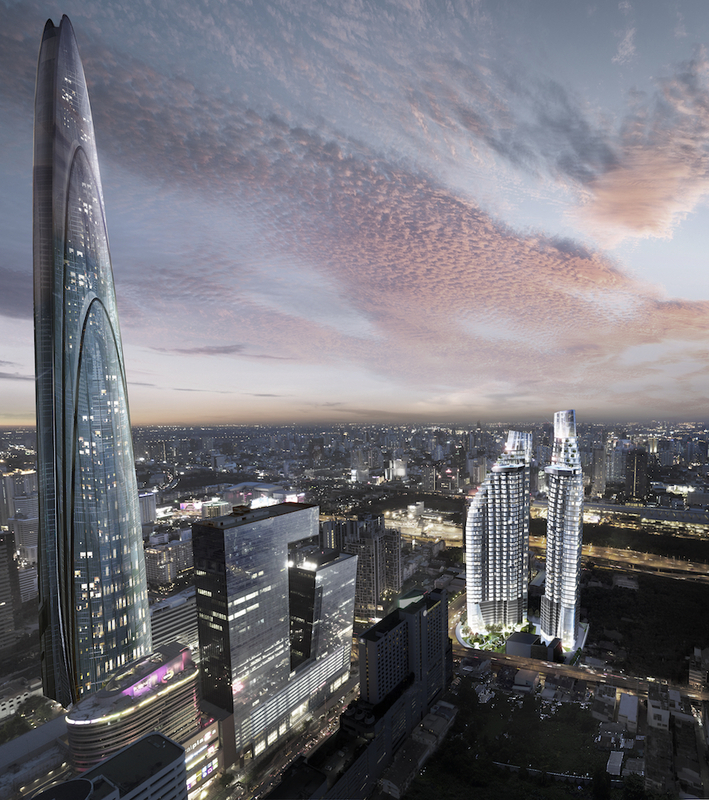 Ashton Asoke Rama 9 is located directly overlooking the up coming “Super Tower” – set to be Bangkok's tallest building with an already existing 2 million square metre business district surrounding it. 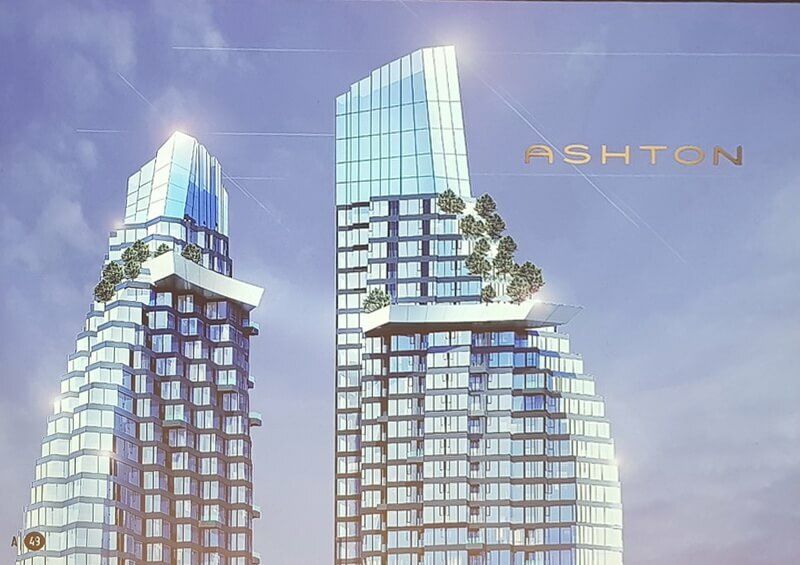 Ashton Asoke Rama 9 is positioned on a premium plot of land, the last vacant corner plot on this major intersection between the two roads - Ratchadpisek & Rama IX. The visibility of this corner can be likened to the famous advertising signs in Picadilly Circus – London, or Times Square – New York, fitting for a residence of this magnitude. Ashton Asoke Rama 9 is just a short 230m walk from the main MRT Rama 9 station and just 950m from Makkasan Airport-Rail link (or 1 stop on MRT). Aso nearby are the massive Fortune Shopping Mall (100m), Sirat Expressway (200m). 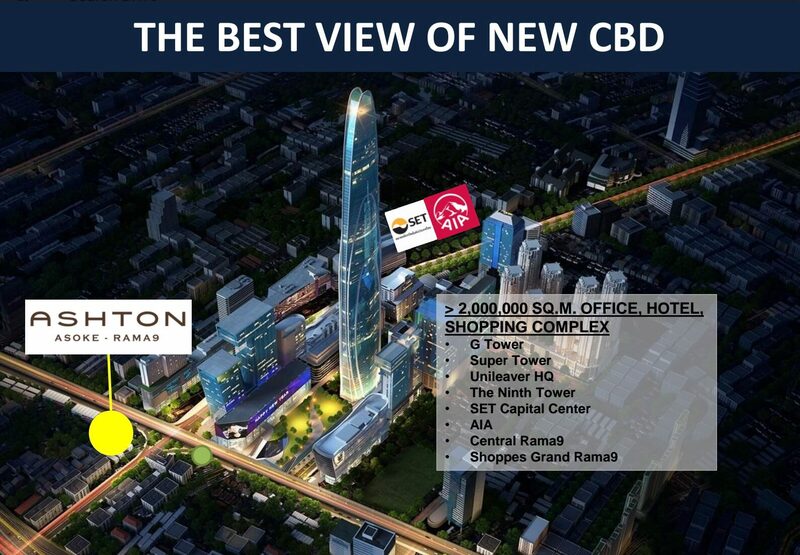 You can access all key parts of the city in minutes from this outstanding position in Bangkok. 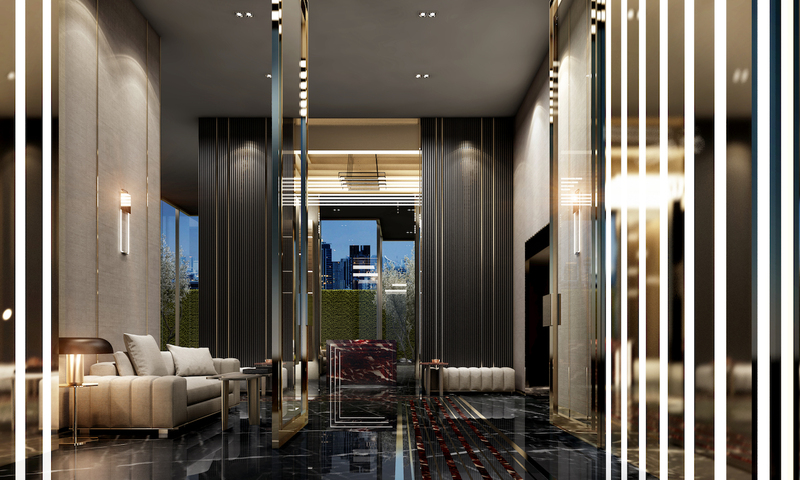 Ashton Asoke Rama 9 is made up of two stunning high-rise towers – Alpha (46 floors) and Omega (50 floors). With slight differences in the interior design between the two towers, buyers can choose which building suits their personality and style in the early phases. The towers are built with a super core in their centre's which is an empty cavity allowing the building to breath and have a pleasant natural breeze throughout. There are a total of 593 residential units in the whole project and 6 retail units. The residential units on offer all feature corner window glass and are available in a range of sizes: 1 Bedroom (31m2 – 42m2) / 1 Bedroom Plus (42m2 – 49m2) / 2 Bedroom (61m2 – 89m2). 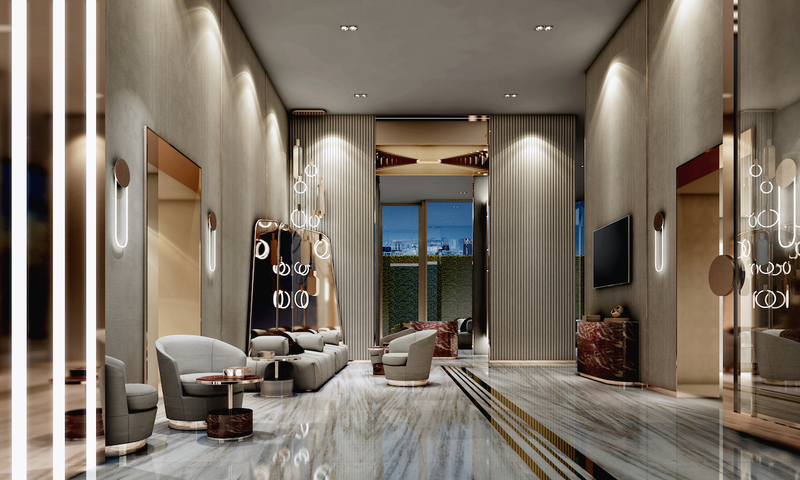 On the 41st and 42nd floors you will find a spectacular infinity edge pool, jacuzzi, state of the art fitness centre, steam rooms, yoga room, changing rooms, massage room, cinema room, co-working space, co-kitchen, balcony. On the ground floor there are landscaped gardens, concierge, laundry collection, retail shops, juristic office, automatic lift parking.